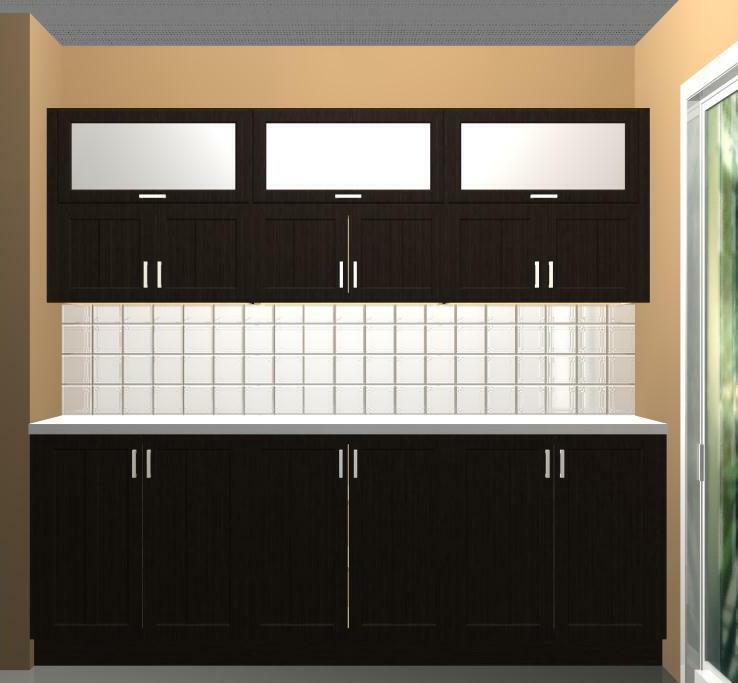 There are lots more opportunities to create a better kitchen design with wall cabinets than with base cabinets. The wall cabinet’s height and depth, along with the installation height, gives more to work with. 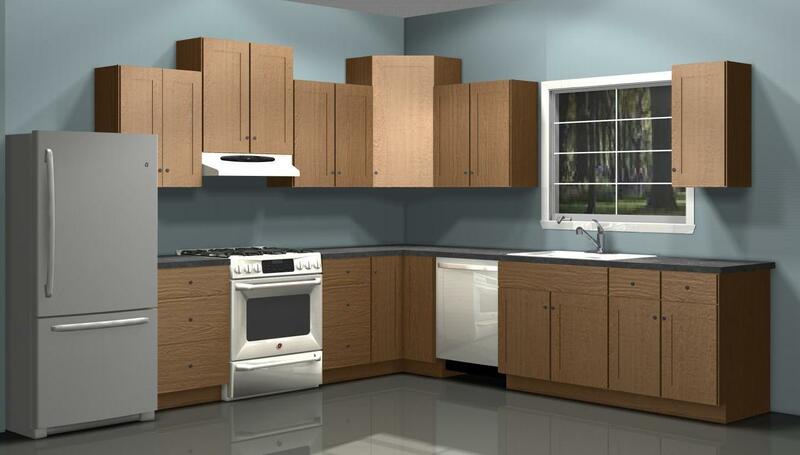 Ordinary kitchens use a row of same-height 30” high wall cabinets, leaving about 13” of free space for an average 96” high ceiling. We’d like to see you break that up some by stacking two – 15” high units on top of one another. Placing a few 39” high cabinets between 30” high ones end that “same-height” look in its tracks! You’ll gain some more storage space and, by installing horizontal panels between the tops of the high cabinets, an attractive niche is created. An open space between the top of the wall cabinets implies lost storage and generally gets dirty. IKEA has 15”, 18”, 24”, 30” 36 and 39” high wall cabinets – though the same widths aren’t available in all the heights. So, you can get up to the ceiling – but it’ll take some creativity to match up the available cabinet widths. Don’t worry if there’s a 3” to 6” gap still; just cut a toe-kick, cover panel or deco strip to fill the space. For as much as we’d like to play with wall cabinet heights we’re restricted because the wall cabinets should align with the tall towers. The tallest tower is 88”, so a 36” high wall cab would be the tallest that’d work. Though, space permitting, if an open space of about 12” is available between the adjoining tall tower and the wall cabinet, then the alignment isn’t necessary. Here a row of higher wall cabinets placed well above the tall tower creates an interestingly separate area. 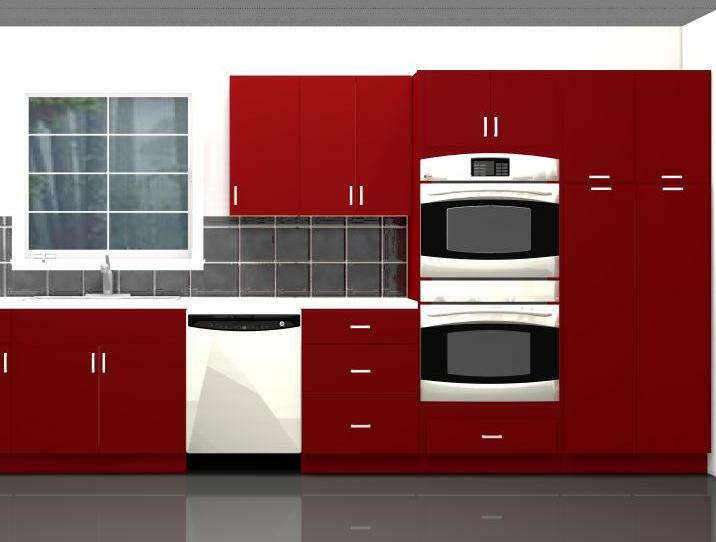 Very modern kitchen design trends emphasize minimizing wall cabinets by either not placing them or designing a strip of low-height (usually 15”) wall cabinets. May look great but it’s quite impractical. We also design IKEA kitchens for people all over the world – including you! Get in touch if you have any questions about the process of getting an IKEA kitchen design for your home.